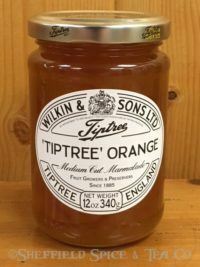 Categories: Spices, Gourmet Foods & Baking, Baking Spices, Vanillas & Other Extracts. 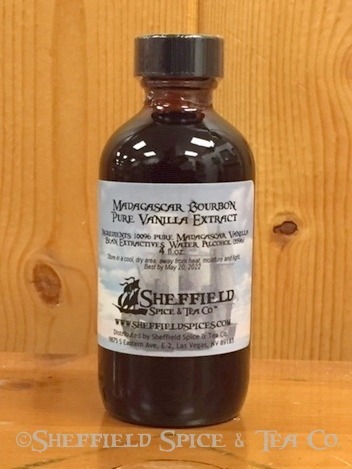 Our Sheffield Madagascar Bourbon Pure Vanilla Extract has the vanilla flavor we grew up on and expect when we enjoy a scoop of vanilla ice cream, a bite of vanilla-laced buttercream cake icing, or even a sip of vanilla tea or latte. The sweet, creamy flavor of the Madagascar Vanilla Bean (V. Planifolia) is considered the vanilla standard throughout the world. Other species of the vanilla plant are grown in Tahiti, Mexico and a few other countries, with Madagascar being the leading supplier. Each have their own flavor characteristics for which bakers might have a preference. But it is Madagascar Vanilla which still sets the standard for flavor. The demand for Pure Vanilla continues to grow, which is one reason Vanilla is the second most expensive spice, behind saffron. Weather, crop success and failures also affect vanilla supplies and prices. 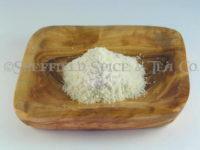 Vanilla is so familiar, it evokes memories of our childhood and touchpoints throughout our life. Baked cookies & cakes, ice cream, some perfumes, and many other uses keep vanilla as one of the most recognizable scents and flavors in the world. 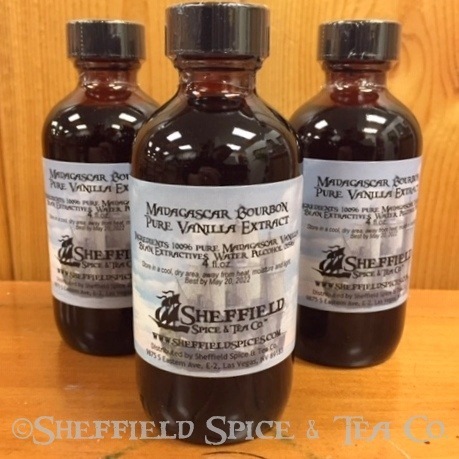 The uses for Vanilla and Vanilla Extract are many as I’ve already pointed out in several examples. 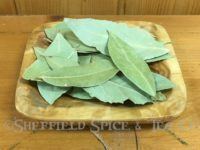 Our many friends buy it for their baking needs, as a flavoring for drinks, flavoring for homemade ice cream, and spirits. Try substituting Vanilla Extract for other flavors, such as almond to add a different twist to your recipe. We do that ourselves with cookies and cakes. If you are vanilla fan, we have several vanilla flavored teas. 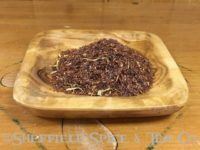 Take a look at our Vanilla Chai Tea and Bourbon Street Vanilla Rooibos. Both have that familiar vanilla flavor we love.